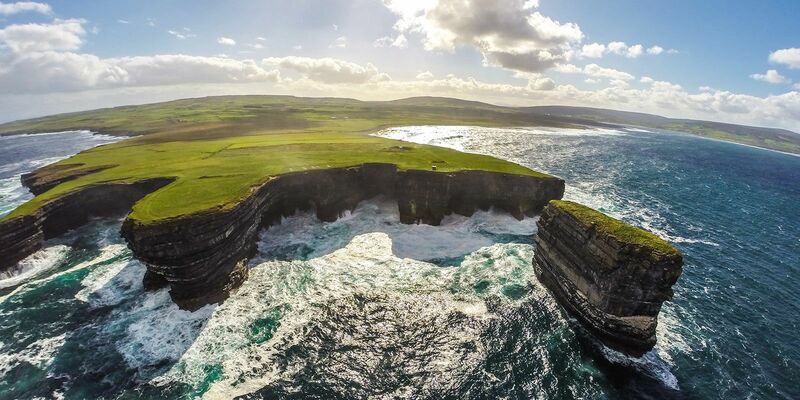 The Wild Atlantic Way is a 2500 km (1500 miles) driving route, stretching from Malin Head in County Donegal to Kinsale in County Cork along Ireland’s west coast. It is a sensational journey of soaring cliffs and buzzing towns and cities, of hidden beaches and epic bays. In Mayo the Wild Atlantic Way is a 543 km coastal drive and much of Mayo’s spectacular natural scenery lies along it with the Westport Woods Hotel located ideally on the route. 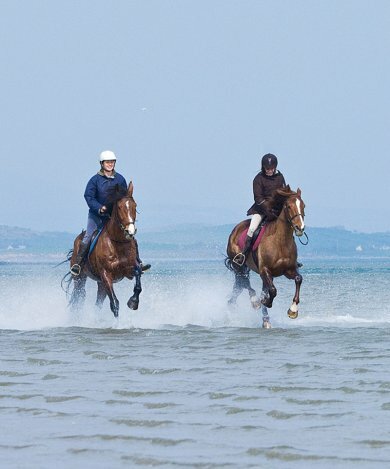 The Westport Woods Hotel is located overlooking the magnificent Clew Bay. The views of Clew Bay from all over Westport are spectacular. Clew Bay (in Irish: Cuan Mó), is nestled between Croagh Patrick to the south and the Nephin Range mountains of North Mayo, and is one of the most spectacular bays in Ireland. The bay has 365 islands, one for every day of the year. Clare Island, the biggest island, guards the entrance of the bay and is home to 130 people. It possesses a Blue Flag beach and many historical and archaeological sites, making it a must-see island for the visitor willing to take a short ferry ride. The islands in Clew Bay are partly drowned drumlins, which are elongated, steep-sided hills, sometimes described as whale-backed. They were formed when glaciers reshaped the landscape in the last ice age. Many of the hills on land around Clew bay are similar drumlins. John Lennon and Yoko Ono owned and stayed on Dorinish Island, a remote island in Clew Bay, which they planned to turn into a hideaway retreat. Yoko Ono described it as "a place where we thought we could escape the pressures and spend some undisturbed time together”. Clew Bay was the stronghold of the O’Malley family in the Middle Ages. On the bay’s shore Grace O’Malley, the Pirate Queen, resided in Rockfleet Castle. Her fleet of ships sailed across the bay displaying the flag with the Motto of the O’Malley Clan: “Terra Marique Putens”, “ Valiant by sea and land”. Carrowmore Strand is a short drive away from the Westport Woods Hotel. It is a machair beach which is low and flat with windswept land plains, set between a rocky outcrop in a small bay off Clew Bay. It extends approximately 800 metres from Carrowmore Quay located in the west to the Bunowen River which divides the beach and Tulin Strand in the east. Carrowmore Strand commands spectacular views of Clare Island, Achill Island and the opposite shore of Clew Bay. The beach is backed by steep cliffs and the land rises steeply to a height of 145 metres at Carrowmore Hill. It is a Blue Flag Beach and it is one of the rarest wildlife habitats in Europe and in Ireland. Wildlife often spotted here include Waders such as the Snipe, Lapwing and Oystercatcher. The Gull family is also well represented here with the Common Gull, Kittiwake, Blackheaded Gull, Great Black-backed Gull, Lesser Black-backed Gull and Herring Gull all visitors to the beach. Murrisk viewpoint is located just minutes from the Westport Woods Hotel. The village of Murrisk has a quite outstanding location - between the shores of Clew Bay and the majestic mountain of Croagh Patrick, known locally as 'The Reek'. Murrisk viewpoint is situated on the southern shore of Clew Bay at the base of Croagh Patrick. Here you can enjoy breathtaking views of Clew Bay against the backdrop of the Currane Peninsula. There are many pleasant walking trails to enjoy from Murrisk viewpoint around the Bay and to Croagh Patrick. Croagh Patrick is Ireland’s holy mountain, where according to legend St. Patrick banished all snakes from Ireland. 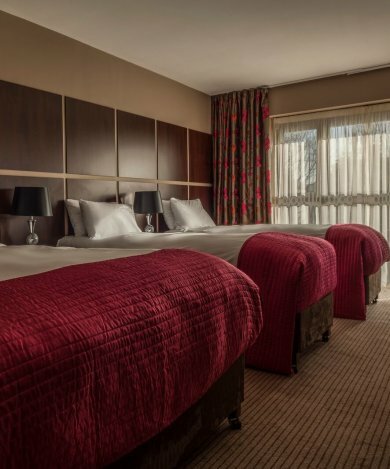 So if you're looking for a hotel to relax in during your travels along the Wild Atlantic Way in Mayo, Westport Woods Hotel is your ideal base thanks to our fantastic accommodation, great dining options and superb location. Take a look at some of our special offers.